Prof. Jennifer Silver has been a faculty member in the Department of Geography, Environment and Geomatics at the University of Guelph since July 1, 2011. Prior to that, she held a SSHRC Postdoctoral Fellowship at the Duke University Marine Laboratory in North Carolina. She received her PhD in Natural Resource Management from Simon Fraser University and has BA and MA degrees in Geography. Jennifer has published over 20 peer reviewed articles and has secured several multi-year research grants as PI and Co-PI. 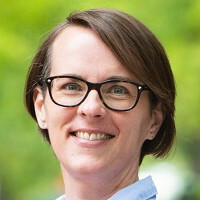 Currently, her research program examines: a) commercial fisheries, coastal communities and Indigenous fishing rights in British Columbia; b) multilateral negotiations and agreements that have implications for coastal and small island states; and, c) opportunities and challenges evolving at the intersection of rapid environmental and technological change.